During its CinemaCon presentation in Las Vegas earlier this month, Sony Pictures confirmed that production has gotten under way on the long-awaited adaptation of Stephen King's The Dark Tower. While most of the main cast is already in place, it's never too late to add even more cast members, with two new actors signing on today. 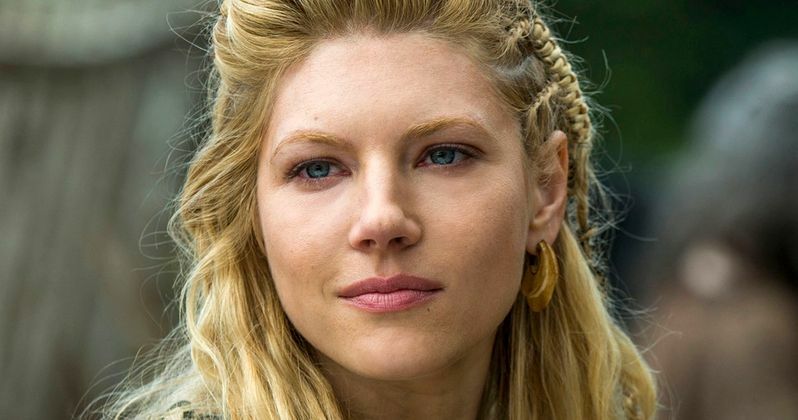 Vikings star Katheryn Winnick has come aboard in an unspecified role, while Michael Barbieri has also joined the cast as young Timmy. While we'll have to wait and see who Katheryn Winnick is playing, the casting of Timmy could signal that the adaptation will make some major changes from the novel series. Variety has word of Katheryn Winnick's casting, while Deadline broke the news on Michael Barbieri. In Stephen King's The Dark Tower book series, Timmy is a good friend of Jake Chambers (Tom Taylor), although he doesn't show up until the third book, The Waste Lands. There have been rumors that this adaptation will combine elements of the first book, The Gunslinger, and The Waste Lands, which would put some other recent casting moves into context. Abbey Lee, Jackie Earle Haley and Fran Kranz have recently come aboard, who are all playing "low men," who serve under the primary villain The Man in Black (Matthew McConaughey). Nikolaj Arcel (A Royal Affair) is directing from a script he is rewriting with Anders Thomas Jensen (Election Night). Akiva Goldsman and Jeff Pinkner worked on the initial draft. Ron Howard, who was initially set to direct when the project was set up at Universal, is producing alongside his Imagine Entertainment partners Brian Grazer and Erica Huggins. MRC is also developing a companion TV series, which will reportedly debut between the movies in this trilogy. Katheryn Winnick is best known for her role as Lagertha in History Channel's hit TV series Vikings, which is currently in the midst of its fourth season. She will next be seen on the big screen in Geostorm, which hits theaters next January. Michael Barbieri made his feature film debut in Little Men, which debuted at the Sundance Film Festival in January. We'll keep you posted with more casting details on The Dark Tower as production continues.